The nights have become longer, the mornings have become cooler and chocolate rabbits have been in supermarkets since December 26. This can only mean one thing – the 5th Annual SPR Vice President’s Ride is nigh. 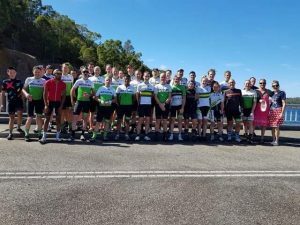 Starting at the carpark at 6 am on Good Friday, the ride has become a club tradition since its inception in 2013 and follows the old 3 dams route (i.e. not finishing at Curtin Uni). For the history buffs, it was originally organised as a 5 dams training ride with Jordan Brock, Dave Manners and myself. We were joined by a few other hardy souls and numbers have increased with each passing year. It is ridden at a Main 1ish pace and there are re-groups at the end of climbs. It is all about an enjoyable ride in the hills, with your SPR clubmates, at a reasonable clip. Also, several riders in the past have joined us at different points, or gone home early due to other commitments, and this is encouraged if you are time poor and still want to participate. In the past, highlights have included Jordan puncturing before the start of the ride, then expecting the ride leader to tow him back to the main group, Lenny riding about 2 km along Great Eastern Highway just to say she’d taken part and the customary blowing apart of the group on Armadale Road, despite best efforts to keep everyone together (we do regroup before the freeway bikepath). Remember that being Good Friday, there will not be much open. We’ll stop in Pickering Brook for water only and again at Wungong Dam for water and the group photo. There is also the option of a food stop in Armadale. 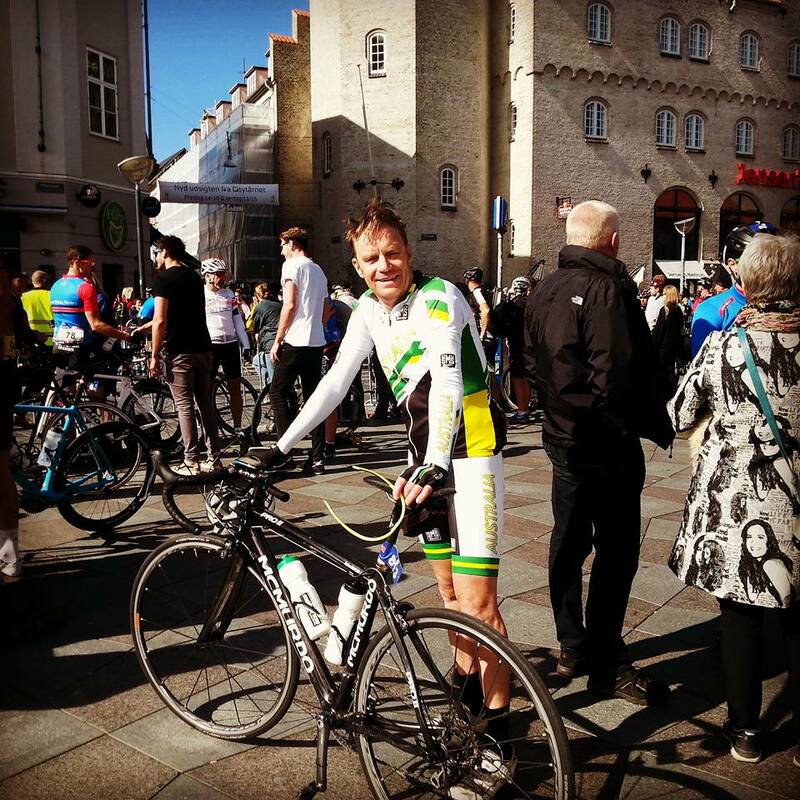 Dress code – those who have them are encouraged to wear their national kits from previous UCI rides and SPR kit is suggested for all others, as it is a club ride. 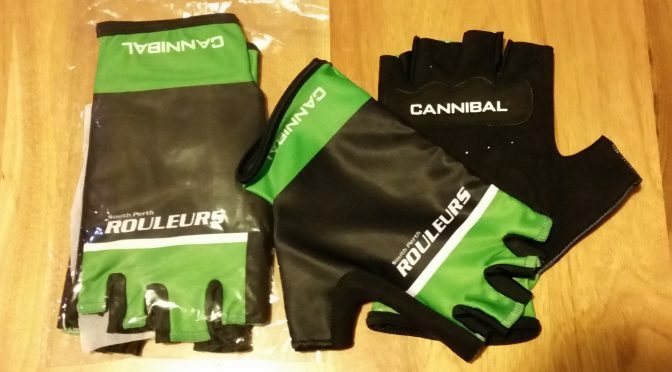 Mixing and matching SPR kits will be looked upon favourably – Mark DeCastro managed 4 separate kit designs last year and there may even be a prize for the person who wears the most number of different SPR kit items (and yes I know I still owe you a coffee for it, Mark). Rumour has it there may also be a surprise en route this year – something that has never been done before. You’ll have to turn up and ride to see what it is! The Chateau de VP household is in race mode at the moment with Mrs VP preparing for the Tour of Margaret River and me left to spend quality time with my beloved offspring. This is the first year in 3 years I’ve missed event and, fresh from a good break after Amy’s ride, I’m not too concerned about it. 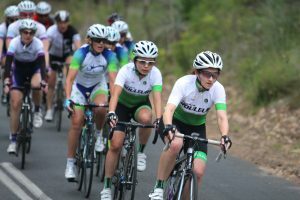 There will be a large contingent of SPR riders (including El Prez) at the Tour competing for a wide range of teams, and good luck to everyone who is venturing out. For those of us holding the fort in Perth, the usual array of rides will be on offer, and with the rain coming through earlier than the weekend, there should be no excuses for not getting out. The ride leader pilot program is coming to an end and there will be a few of us out leading and observing this weekend. It’s been a great program to be involved with and Rob Ramsden has worked tirelessly to bring it all together. If groups need to be split, please listen the nominated ride leader at the briefing. CycleSport WA Survey – CycleSport WA want to help the clubs improve their member experience. So they need to know what your club wants and needs. They have devised this short survey to get a feel for where they can focus a Membership drive. 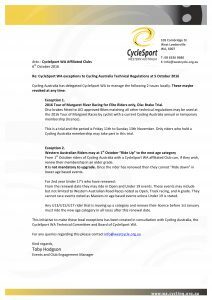 technical regulations – there have been a couple of changes to the wa technical regulations in relation to racing. firstly, any juniors that renew their licences after the 1st october and move up an age group are then eligible to race in their new division. this means that some junior riders will now be able to ride in the tomr. secondly, there has been a technical exemption for the tomr to allow road bikes to use disc brakes. there have been lots of new bikes released in the last couple of years that have disc brakes and the tomr is meant to encourage more people into racing. as such, if your current bike has discs, you don’t need to find a different bike to ride. click on the letter to see all the details. spr gloves – there are a small number of gloves available in black/green that were done as a sample before we finalised the white ones. limited stock, in the club shop. see the previous post for more details. race licences – there are a couple of different types of licences that you can get when you become a member of spr. a recreational licence and a racing licence. recreational licences are for those that really only do the club training rides and want a bit of insurance coverage. it covers a full year from the time you purchase it. a race licence covers you for both training and racing and is necessary if you want to pin a number on. race licences are only valid for the calendar year which means that they expire at the end of december. however, the 2017 licences can be purchased from the 1st october and will then give you 15 months of coverage. if you are looking at upgrading to do some racing next year, or need one to do the summer crit races, then now is the time to join or renew. ride routes – With a possible shower forecast for the southern suburbs on Saturday morning (or at least that was the forecast when I wrote this), the plan will be to head north, with an old favourite ride. The Sunday route will see both groups up Greenmount before going their own ways. As has been mentioned on the ride routes summary, the 4th Annual Vice President’s Ride (AKA the 1st Annual Vanessa’s Husband’s Ride) will take place on Good Friday, starting at 6 am from the carpark. The ride follows the three dams route, although there will be no bananas and bad cover bands at the dam stops, and you won’t have to pay for the privilege. Ride leader donations, however, are most welcome. If the numbers are up this year, I may consider a detour from Armadale Rd in Cockburn to avoid the freeway bike path. Note that this could increase the kms a little and the decision on this will be made on the day. Remember that being Good Friday, there will not be much open. We’ll stop in Pickering Brook for water only and again in Armadale at a petrol station, so those who want can get some food and drinks. 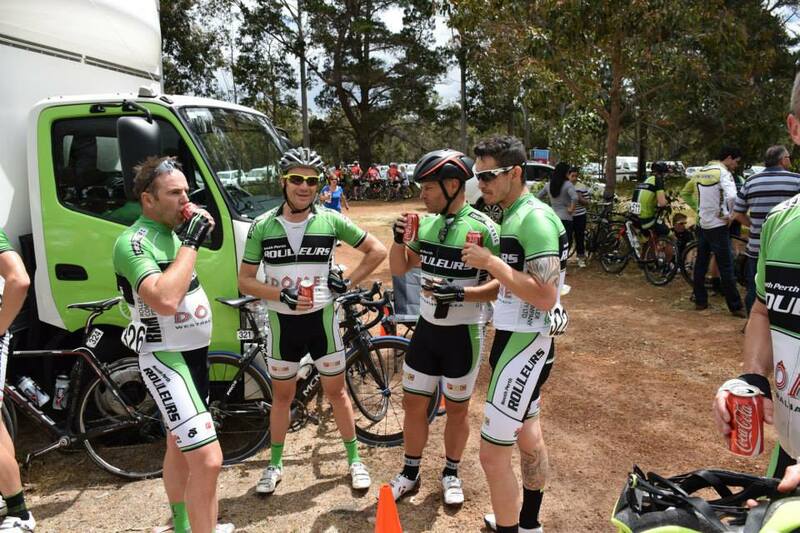 This ride was originally organised as a 5 dams training ride in 2013, with Jordan Brock, Dave Manners and myself. We were joined by a few other hardy souls and since then, numbers have increased with each year, and so the tradition was born. The pace is roughly Main 1ish and there are re-groups at the end of climbs. The pace will be monitored and slowed accordingly if some riders get a bit frisky, but re-groups will be reasonably short. It’s all about an enjoyable ride in the hills, at a reasonable clip. 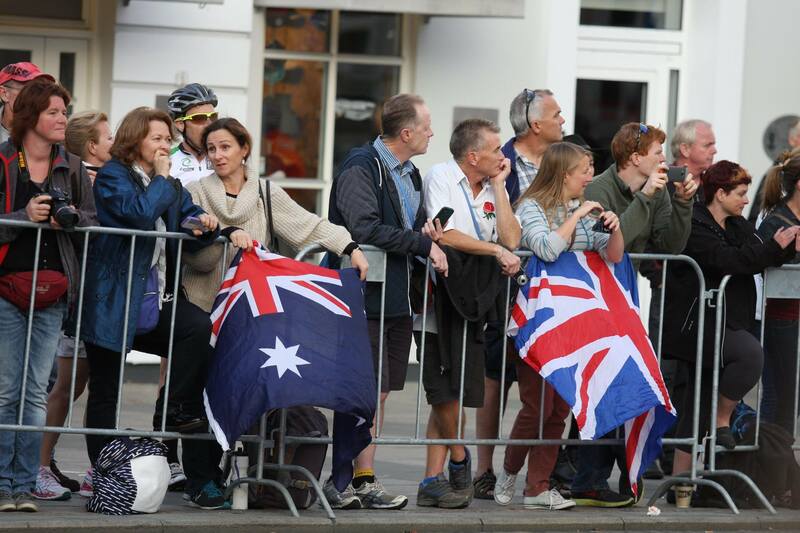 Now to the dress code theme for this year – to celebrate the upcoming UCI World Championships in Perth this year, those who have them are encouraged to wear their national kits from previous UCI rides. SPR kit is suggested for all others, as it is a club ride, and mixing and matching will be looked upon favourably!! There may even be a prize for the person who wears the most number of different SPR kit items. I look forward to seeing a good group ready to go at the carpark on Friday morning. 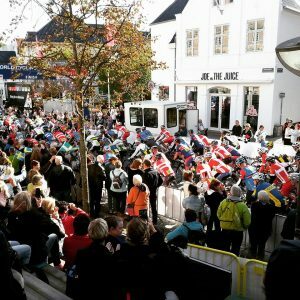 The UCI World Championships were recently held in Aalborg in northern Denmark from Thursday September 3 to Sunday September 6 and a contingent of seven from the Rouleurs was on hand for the event. 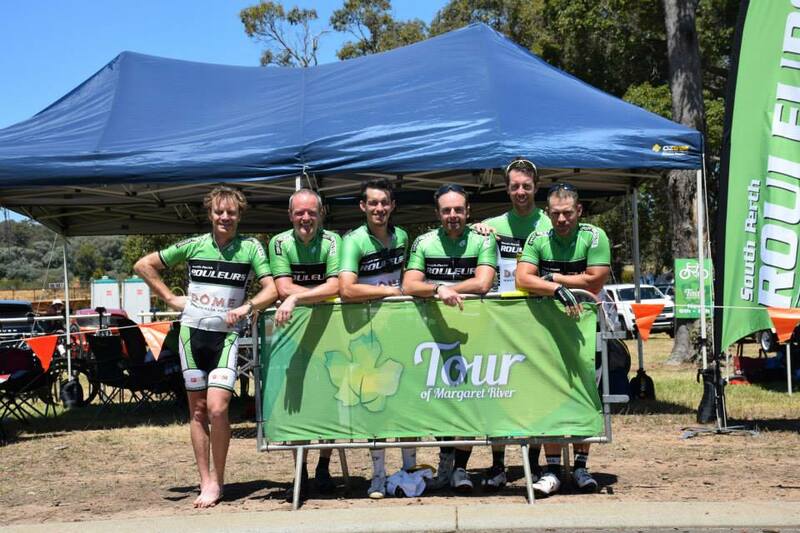 Gary Boylan, Sarah Duffield, Simon Hood, Anke Hoskins, Thomas O’Neil, Peter Wilshaw and myself made the trip over to compete in one or more of the following events – the time trail, teams relay and the road race. Full results for the event are available here and my summary of the event will cover the lead up and M50-54 road race only. It was decided in the Johnson family to combine a slightly late 50th birthday present with a slightly early 25th wedding anniversary present, meaning that Vanessa and I took off sans children (thanks Mum and Dad) the week before the event. 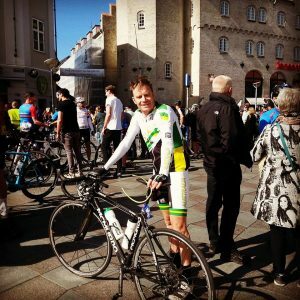 We spent of couple of days acclimatising in Copenhagen and learned how a city of almost 2 million people can survive with most of the population riding bikes. The dedicated bike lanes, unbelievably courteous car drivers and fairly flat terrain make riding the most common form of transport. I met up with Simon for a ride up the coast on the Monday after arriving and did another solo ride on Tuesday. Lycra and helmet clad riders certainly looked out of place with daily commuters dressed in their work gear. We drove up to Aalborg on Wednesday and immediately began familiarising ourselves with the circuit and the general area. I was a bit tired from sight-seeing earlier in the week so gave the opening ceremony and TT a miss, preferring to kick back in Aalborg. 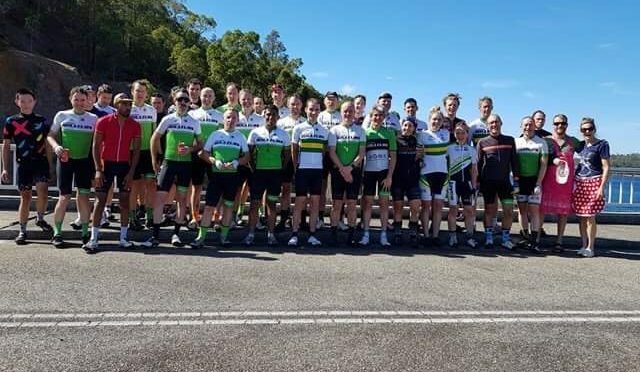 On the Friday morning, a few of the Australian contingent got together and organised an easy group ride in full uniform. This was quite a highlight as 15 of us rolled out onto the course for a quick recce, then headed back into town for coffee. Wemanaged to turn many local heads (most of them middle aged men) and had to pose for several photos. 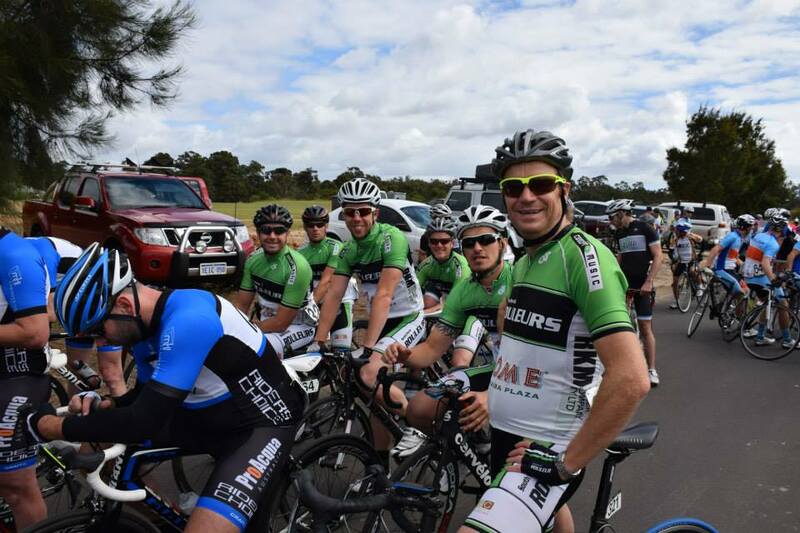 We then reconvened in town for the team relay, which involved 3 laps for each rider around a 1.8 km street circuit. 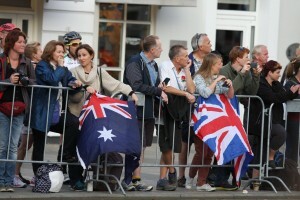 Some over-zealous officiating saw several riders sent out at incorrect times, and as a result, 5 of the 6 Australian teams were disqualified (including SPR International), along with the Danish team that crossed the line first. Let’s hope this will be better organised next year in Perth. In the 50-54 age group there were 226 entrants and 203 actual starters. We were herded together in the starting pens and at 9.40 am off we went. The first 5 km was chaotic. 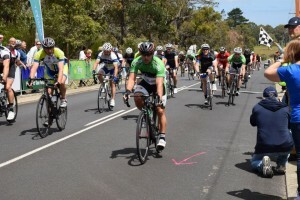 A couple of riders at the back went down on the first bend and the 2 km neutral section was done at over 40 km/h. When the flag went down, the pace immediately stepped up and carnage resulted. With everyone trying to get position there was a bit of argy bargy and I had 5 riders come down in front of me. One was right next to Simon but he managed to stay safe. Over half the field lost time here trying to get around the mess and this resulted in several early splits. Once everything settled down, I found myself in a group of about 30, including Simon and 4 other Australians. There were several half-hearted attempts to start a roll through but mostly riders were there to hang on. The Australian boys, a couple of Danes, two English riders, a Norwegian, two Canadians, an Italian and a Dutchman seemed to be doing most of the work and we soon had a good pace and began reeling in some of those dropped from the front group. About 50 km in, we started picking up a lot of English guys from the younger age groups and this surprised me. Given the status of the event, there were some riders who’d struggle to hold wheel in Main 2 and I asked one the English guys in our group why this was happening. He said that the qualifying race had over 5000 entrants and hence there were many riders in the top 25% who shouldn’t have been there. He then remarked that at least we wouldn’t finish last!! However, further into the ride the slower riders were causing all sorts of issues. Some were riding three abreast on narrow roads and when we went past, most of them seemed not to care and wouldn’t move over. In one incident, a rider swerved out in front of me as we went passed and nearly took me out. My Italian mate in the group came up and asked if I was OK and we spent the next 10 minutes roundly abusing the English. During the rest of the race we gave plenty of warning to overtake and those that didn’t move were told in no uncertain terms to move. Those who’ve heard my tirades on Main 1 rides will know what I mean. Around 80 km the course got interesting. 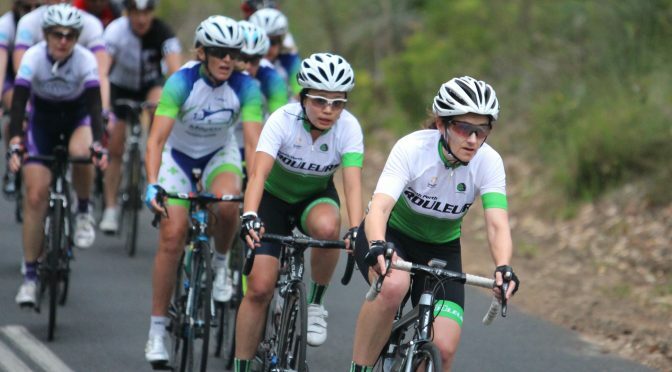 Between here and 125 km there were several short, sharp climbs that called for attacks. On the first of these a Kiwi rider who we’d picked up andI decided to stretch the legs and opened up a gap. However, on reaching the top we were greeted by a big headwind and decided very quickly to retreat to the bunch. On the last of the climbs the Dutch rider and I got away, only to find the same issue with the winds. We tried for a few kms to stay out until he said that it was too hard with just the 2 of us, so again we sat up. From 110 km onwards there were several little attacks to keep everyone honest and we starting dropping some of the original group, as well as picking up more in our age group from the front. I had no idea where we were placed overall and just kept working with the group. Onwards we went, and with each arrival into a new village we were greeted with cheering locals. Some farmers had decorated hay bales for the ride and the Danes in the group were getting plenty of support. It was a fantastic atmosphere to ride in and I seemed to forget that I’d covered plenty of kms and that the legs weren’t feeling too bad. More attacks and shorts pinches followed until about 150 km. Simon fell off the back with a couple of others and we were down to 15 when the advance party for the 55-59 breakaway group came past with 10 km to go. Once the lead group of 3 went through we backed off the pace to give them a clear run to the line. There were no complaints in our group when this happened and this meant we’d have a final sprint to the line for group honours. Having done the relay on Friday I knew where would be a good point to attack from and got a good position as the pace quickened again. At 1 km to go my Italian mate made the jump and I got in behind him. I couldn’t pull him back on the final rise and with the last 200 m downhill to the finish, I was confident I wouldn’t be caught by the others. I happily crossed the line as I’d realised I’d safely completed the race. I then caught up with Vanessa, who seemed just as relieved. We then watched others come across the line, including the sprint for the women’s race, which was quite exciting. Then it was off to get a chicken pasta feed and swap war stories with those in other groups. I still had no idea where I’d finished and rode back to the hotel to get ready for the post race drinks. When I switched on the I-pad I was greeted by many facebook messages telling me of the results and was quite overwhelmed by the support from everyone who was following the race from around the world. In the end I came in 72nd and Simon finished 100th. In hindsight if the group didn’t slow for the 55-59 riders, we may have caught more riders, but overall I was pretty happy with the result. I’m certainly keen to ride in these races again and this means more training to qualify. Bring on Perth 2016. Finally I’d like to say thanks to the many people who’ve helped to get me to here. Toby and Jono have been brilliant with setting out programs and ensuring my motivation stayed high through the depths of winter. To those too numerous to mention who would accompany me on extra work before and after Sunday hills sessions, thank you very much and also to everyone in SPR who encouraged and supported me on other rides. A special mention to my three children, who I completely avoided when any of them came down with colds over winter (they reassured me that they understood why I was doing it). Finally thanks to Vanessa. I know she has enjoyed becoming part of SPR this year and this has made life easier with training. However, her biggest effort over the time was the day before the race, when she navigated the first 90 km of the course as I drove it, using only instructions provided in Danish. All she needed was google translate to get the words for left and right and we were away. I could not have achieved what I did without her and for this I am forever grateful. As has been mentioned on the ride routes summary, the 3rd Annual Vice President’s Ride will take place on Good Friday, starting at 6 am from the car park. The ride follows the three dams route, although there will be no bananas and bad cover bands at the dam stops. 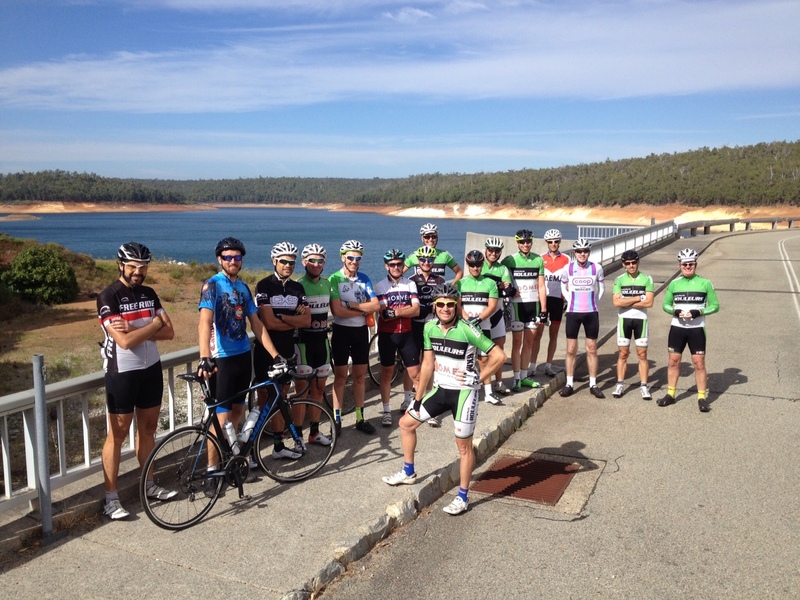 This ride was originally organised as a 5 dams training ride in 2013, with a few hardy souls heading out. The numbers jumped to about 40 last year and so the tradition was started. The pace is roughly Main 1 and there are re-groups at the end of climbs. The pace will be monitored and slowed accordingly if some riders get a bit frisky, but re-groups will be reasonably short. Being Good Friday, there will not be much open. We’ll stop in Pickering Brook for water only and again in Armadale at a petrol station so those who want can get some food. This year I am requesting that ALL riders come dressed in SPR kit (mixing and matching is encouraged!!). I understand this will be difficult to police but it is a club ride and as such club kit is preferred. I look forward to seeing a good group ready to go at the car park on Friday morning. Following on from the recent incidents involving SPR members Mike and Davina (see post) ,the committee has agreed to open a donations page for those who wish to contribute to the recovery of both riders. A link has been set up on the club homepage (see right hand side above the posts list. It will remain open for the next 2 weeks. Unfortunately the end of the 2014 and the start of 2015 have not been kind to a couple of SPR Riders. On New Year’s Eve, Davina Summers was involved in a crash, with a car running into her, and then on New Year’s Day Mike Bonner suffered a similar fate doing a warm down in King’s Park after the public holiday ride. In Davina’s case, she was hit from behind after taking off from the Tonkin Hwy and Morley Drive lights and knocked off her bike. She was fortunate that a few cars back there were police (not traffic police but police all the same). Davina was in shock so the police spoke with the driver, taking details etc. Davina is rather bruised and sore from the thud of crashing and frustrated given the hard yards she’s been doing lately in preparation for the NRS season. Luckily, she was able to walk away from her crash. Mike was not so fortunate. He was behind a car in King’s Park, when it suddenly made a U Turn. Mike hit the driver’s side door full on and ended up on the road after tumbling across the car. His helmet is in pieces and he’s nursing a few bruises. He is currently in Royal Perth Hospital and is waiting on an operation to repair damage to his neck. He can move his arms and legs but needs to be immobilised until the operation. He’s in good spirits, although is feeling very sore and sorry. We will keep people updated on Mike’s progress. In the context of the above-mentioned incidents, this serves as a timely reminder for all members to renew their SPR memberships for 2015. As well as the usual benefits that membership offers (helping support the club, able to purchase kit etc. 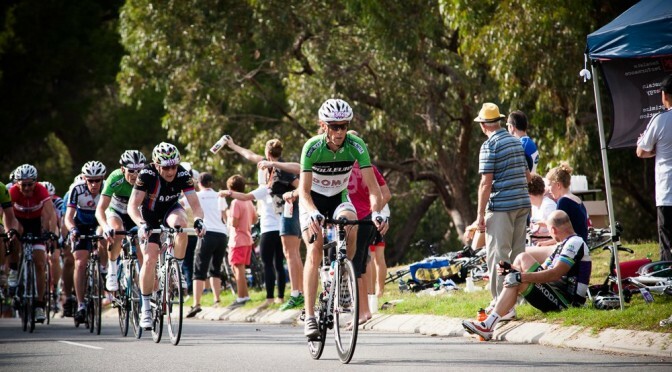 ), all paid up members are covered by Cycling Australia Insurance. Whilst this insurance will not cover all expenses associated with accidents, it will assist if you are unlucky enough to be involved in an accident. Full details of the policy can be found here. 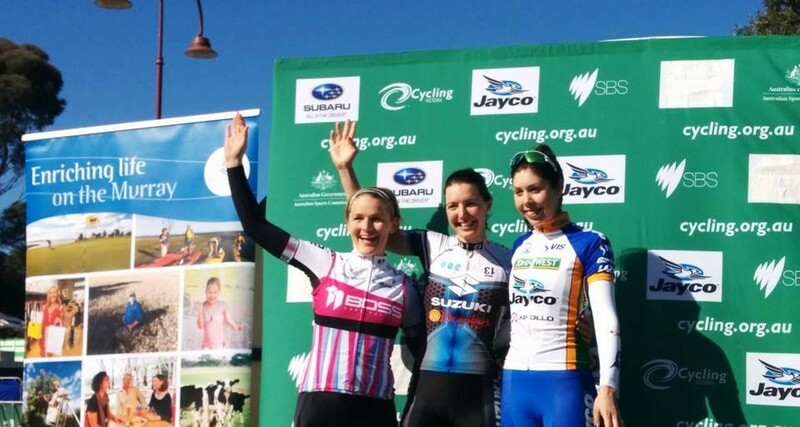 Note that members of other Cycling Australia clubs, Triathlon WA, Mountain Bike Australia, BMX Australia and Audax are covered by similar insurance levels. These members can join SPR as Social Members, which gives them access to member benefits and they are able to purchase club kit. Full details of club membership options and details of how to renew are found here. 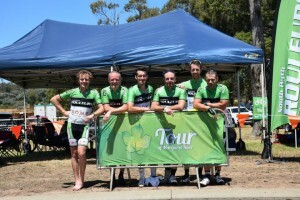 Team SPR 2 was finally settled in the week before the Tour. Unfortunately we lost Simon to jury duty early on and after some final toing and froing with SPR 1 and 3, the line up consisted of Ben, Danny, Craig, Jordan, Julian and Justin. The constant changing meant that unfortunately that TTT practice with the whole team didn’t occur before the event, but nonetheless we were all eager to get down to Margaret River and into the racing. Craig organised the accommodation, a wonderful 5 bedroom house in Gnarabup called Point Break. Dinner duties and shopping were assigned and we were to rendezvous at Point Break on Wednesday evening, minus Danny, who couldn’t get down until Thursday morning. Jordan supplied pulled pork for the first dinner and we talked away the evening planning tactics for the 4 days of racing. Thursday morning arrived and we went for a warm up ride into Margaret River for breakfast, then up to Cowaramup to do a reccie on the course and also to meet Danny. The wind was blowing already and we steeled ourselves for what was to come. After doing final registration and collecting the race pack, we headed back to Point Break for lunch and final preparations, before making the drive back to the start and saddling up for the time trial. On the start line we found ourselves with one eye at the back of Cam Meyer, who was with one of the Satalyst tams. The other eye was focussed firmly on the clouds, which were darkening and fast as the wind was picking up. Finally, we were off and after 1 km we made the turn and confronted 5 km of head winds. We tried to keep formation but this became increasingly difficult. We lost Jordan just after the climb in the vineyard and Justin and I weren’t feeling the best. The tail wind reprieved us, but towards the end of the first lap, Justin and dropped off and the rain started. On the second lap I started to struggle into the wind and Craig did his best to keep the 4 of us going together. His constant yelling at me to get in line was well meant, even if I wasn’t appreciating it at the time. We then passed the Satalyst group (including the race pro!) but no photographic evidence is available. I really struggled over the last 5 km and was very glad to get across the line, although the time was a bit slower than we would have liked. We waited around in the wind and rain until the end and found out we ended up 39th overall and in Category 4. Then it was back to Point Break for Justin’s Spaghetti Bolognaise and discussions about the road race tactics. This was the day I was looking forward to most – a ride down Caves Road through Boranup Forest and a nice climb at the end. Craig and Ben decided they’d try and get in any break aways that formed and leave Danny and I to enjoy the final hill, if they couldn’t stay away. Ben had a few nervous moments at the start, but apart from that, the team was ready to go. The pace was on from the start and no one could get away. Craig tried a pre-ordained move near Mammoth Cave that was unsuccessful, so we all sat in until we turned off Caves Road and into the turns before the climb. Unfortunately, by this time the rain started and safety considerations meant the turns were taken slowly. As the final climb neared, the group started to split and Craig, Ben and I got towards the front. We then caught the back of Group 3 and this caused a bit of confusion. Poor positioning meant I got held up behind some of Group 3, and once I was out, I had no idea who was where in the order. I pushed up the hill reeling in riders and crossed the line feeling OK. A quick check of the results showed I’d came in 7th, but I couldn’t help thinking it should have been better. Ben and Craig followed behind, with Danny, then Justin and Jordan bringing up the rear of the team. A fast and furious day was in store on a lumpy stage to Rosa Brook. The hill about 5 km out from the finish interested us and we decided to keep towards the front throughout. As with the previous day, no one was able to get away, with the group keeping a good eye on things. Along Redgate Road the pace picked up and into the last 15 km it was clear that a sprint finish was on the cards if we couldn’t get away on the last hill. Not fancying my chances in the sprint I pushed the group and at the top about 10 of use, including Ben and Craig had a slight gap. I yelled out to keep it going but other teams weren’t keen on working and we were caught on the first bit of the descent. The last few kms were a free for all with Craig and Ben doing some great work to get to the front. In the end Craig went a bit early and finished 4th, with Ben also getting in the top 10. 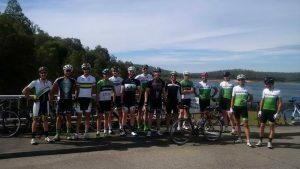 We caught up with the other teams for a chat and watched the other Categories below finish before heading off on the Social Ride back to Cowaramup. Whilst this ride sounded good on paper, it was a bit too long and with the sun starting to come out, we were feeling a bit tired by the end. Another pub lunch improved the mood, before we headed back to Point Break for the social highlight of the weekend – a viewing of the film Point Break, made all the more special by the fact that Ben hadn’t seen it. With Justin and I quoting some of the more memorable lines (young, dumb etc. ), and Patrick Swayze and Keanu Reeves in fine form, the hours flew away before a sumptuous evening BBQ dinner was prepared. The final day’s racing and finally the sun was out. It was quite disheartening doing the warm up with families in the surrounding houses preparing to go to the beach. We were off at 9.30 am so at least it wasn’t too hot at the start and the wind was light. Team tactics consisted of sitting in fort he first lap and watching out for any attacks. The first lap passed without event – a few tried to get away but were quickly reeled in. On the second lap Craig instructed me to ‘Light it Up’ and off we went for sojourn in the front. Needless to say it didn’t last long and by the final lap the group was pretty much together. As the pace quickened in the final lap a few people started dropping off but the team stayed together pushing each other on. Finally the sprint arrived, with Craig and Ben in best position. Ben timed his run pretty well and came in 3rd, with the race won by Steve Hedley, an ex A-grade rider who now resides in Broome and who used to ride with SPR a few years back. So that was the end of the tour. We had a celebratory beer as we watched Cat 2 in the next race and reflected on a good few days of racing. The legs were very tired and I was looking forward to not having gels for a few days. Overall the team was pretty pleased with the effort and we improved our position from 39th on the first day to 25th by the end. On the non-racing side of things, we enjoyed the relaxed atmosphere of Point Break and cannot recommend highly enough, a house on the coast as a base – close enough to Margaret River to ride in and not too far to drive to the start. Next year, we’ll need to plan the trip back from Augusta in order to avoid the long ride back. For me, the highlight of the weekend for me was the descent in Boranup Forest on Caves Road, as well as the general good feeling in the peleton during each day’s racing. The others also had their special moments as well and it’s worth mentioning Ben’s – he got to see Keanu Reeves jump out of a plane!! Every great tradition has to start somewhere. 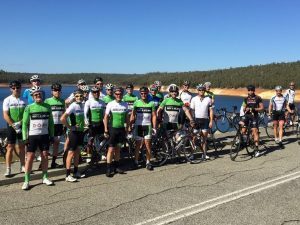 Last Good Friday, a group of intrepid SPR riders set off at 6am in magnificent weather to complete the Three Dams course, as part of 5 dams training. Such was the enjoyment of this ride that, despite the dams ride being done and dusted for 2014, the 2nd Annual SPR Good Friday Three Dams Ride, will now be held. All those interested are to meet at the car park at 6am this Friday. Please bring necessary sustenance for the ride and be aware that there will be limited stops due to not much being open (there will be short re-groups at the end of the climbs). We can get water at Pickering Brook and we’ll stop at ~110 km in Armadale (petrol station only). Looking forward to seeing you out there.